A tent is a temporary structure or enclosure for the purpose of shelter or protection, the roof and sides of which are constructed of fabric and other materials. They have been providing temporary shelter to the humans from various centuries: mainly during the war, relief, hunting expeditions, feasts, events and meetings. Powered with its rich experience of three decades, “M. K. International”, also known as "mktents” Introduces itself as a renowned manufacturer , exporter & suppliers of all kinds of Tents i.e., Resort Tents, Relief Tents, Army Tents, Frame Tents, Camping Tents, Demo Tents, Promotional Tents, Event Tents etc. 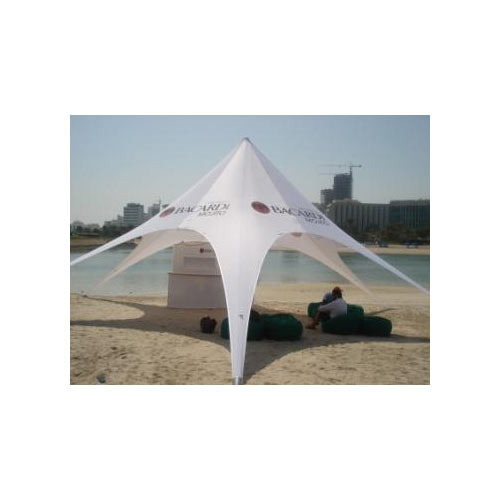 Apart from the above stated products our company also offers various other items such as “Garden Umbrellas, Golf Umbrellas, Monsoon Umbrellas, Promotional Umbrella, Promotional Tables, Banner Stands, Roll up Stands, Expandable Back Drops, Pop Up Back Drops, Sleeping Bags, Ruck Sacks, Mosquito Nets, Rain Ponchos, Disposable Rain Ponchos, Beach Screens, Hammocks, Folding Chairs, Camping Stool, Camping Chairs, Camping Tables, Picnic Tables, Relief Kits, Carry Mats, Ground Sheets, Tarps and many other utility products”. We are a part of “Lal Singh Harcharan Singh Sethi” group, since its inception in the year “1978” our products are known for their quality, easy portability, quick setup, long-term durability and competitive prices. Our unit is equipped with imported stitching, cutting machines; it designs, develops & dispatches material as per buyers requirements on time.